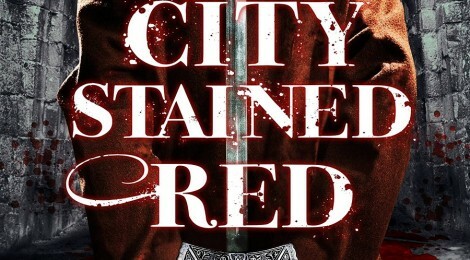 Book Review - The City Stained Red (Bring Down Heaven #1) by Sam Sykes - Honk if you love justice! I became aware of Sam Sykes mostly via Twitter, and his interactions with Myke Cole, Daniel Abraham and other authors I followed. He was funny, and when the first book in his new series was discounted, I took a shot. The City Stained Red , book one of the “Bring Down Heaven” series, follows an adventuring band led by Lenk, which resembles your favorite D&D group’s mismatched murder hobos as they attempt to enter the city of Cier’Djaal to get money owed to them. Lenk wants to settle down and stop all the killing, you see, but if you know how things go for adventuring groups, things go sideways in a hurry. I enjoyed the book enough that I’m seeking out the rest in the series. It’s funny but not afraid to have a few serious bits, and while most of the characters aren’t particularly likable, they ARE interesting. My main complaint is that the book sort of stops instead of ends. It’s a hard balance for an early book in a series – to end in a satisfying way, yet set up the next book – and Sykes came up a hair short of that on this one. Still, it’s a worthwhile read.